Do you need Debt Relief?Struggling with your finances? Attorney Howard Butler is ready to help. Attorney Howard Butler is committed to securing positive debt relief solutions. Wondering if bankruptcy is the right choice for you? Learn more about this financial tool today! A debt free future is just a phone call away. Get started by talking with Attorney Butler today. Individuals who live in Fort Lauderdale, Plantation, Hollywood, Pompano Beach; anywhere in Broward County can get a FRESH START using the bankruptcy Laws. South Florida families who are tired of barely making it from month to month with no relief in sight should consider the debt relief offered by filing bankruptcy. Are creditors — harassing you? We can help if creditors are harassing you! Call me if your bank accounts have been levied or frozen. Immediately contact me if your wages are being garnished. There is hope if your car or truck has been repossessed. If you are on the verge of being evicted; if you are facing a home foreclosure, I can help you. My name is Howard Butler of The Butler Law Firm. I am here to take your phone call personally at (954) 797-5338. You will find me here to personally answer all the questions you have so you can decide if filing bankruptcy is a smart move for your situation. I will not pressure you. There are no strings or cost involved in calling me or scheduling an initial FREE consultation. I would rather you have all your questions answered by an experienced, local, licensed bankruptcy attorney than have you confused by the conflicting and inaccurate information often found by Internet searches. When you decide you need some help and considering bankruptcy as a method to get a fresh start, you can take control over the direction of your life. If you are a Broward County resident living in Fort Lauderdale, Hollywood, Plantation or anywhere in South Florida we can make arrangements to sit down for a confidential NO cost, FREE consultation where we can find out if you are a good candidate for filing bankruptcy. I can help you file Chapter 7 or Chapter 13 bankruptcy should your circumstances make sense for a bankruptcy filing. You can use the incredible power of the Federal Bankruptcy laws to partially or completely discharge the debt that is overwhelming you. Stop hiding from creditors. Make creditors go away. Put an end to the stress and anxiety of fighting a losing financial battle of bills and debt. Stop liquidating your savings or retirement accounts. Quit selling all your personal property in a desperate attempt to pay off creditors. Selling all your stuff can make you homeless. That is now what you should do nor society expects of you. The U.S. Congress Does not want your Financial Life in Ruins! The United States Congress does not want financial life in ruins. The Federal government does NOT want a financial downturns to devastate and individual or a family! If There was no way to get a financial reboot (a fresh start); no way to wipe out all your debt because of some unfortunate circumstances, then the government would have to take care of you. The government does not want you on the taxpayer’s dole. To remedy an individual’s serious financial problems, the United States Congress created the Bankruptcy laws more than one hundred years ago to give individuals a FRESH START. A legal fresh start does NOT require that you sell off ALL your personal stuff in an valiant, but often ineffective attempt, to pay your creditors. If you have been procrastinating taking control of your financial issues and actually fixing your financial dilemma once and for all, reach out to a bankruptcy expert to explore IF bankruptcy is a solution that will solve your financial problems. Please call me, Howard Butler, at (954) 797-5338. Make that critical decision today to get serious. Talk to me, an experienced bankruptcy attorney here in South Florida, to learn if bankruptcy makes sense for you. If bankruptcy does make sense for you, I can help you take back control of your life. The United States Congress made very powerful laws to help individuals and businesses who simply cannot dig their way out of their current financial hole. It’s called Bankruptcy. There is no shame in filing Bankruptcy. In fact, many of the big companies you frequent have taken advantage of the Bankruptcy Laws – so why not you? —ALL have used the U.S. Bankruptcy Laws to get relief. This alphabetical list represents just a few of the firms we would all recognize and there are 1,000’s more! These businesses needed to FIX their financial situation and used the U.S. Bankruptcy Laws to do so. Bankruptcy is the LEGAL SOLUTION to get out of debt and get a fresh start. It works for people too! In 2013 more than ONE MILLION individuals took advantage of the U.S.
Bankruptcy Laws to solve their personal and family debt problems! Broward County Bankruptcy Attorney, Howard Butler, has been providing effective legal counsel for years and continues to pursue financial freedom for individuals throughout Broward County and all over the state of Florida. Many individuals have been increasingly losing their jobs and suffering other results of a poor economy that has its roots back to 2007-2008 and it doesn’t seem to be getting any better. Mr. Butler can help you achieve financial freedom and keep up with your financial obligations. Most unpaid debts are the result the loss of a job, unexpected medical issues, divorce or simple bad luck. Are you being harassed or sued by a ferocious debt collector? 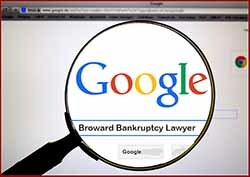 Are you aware that if you file bankruptcy, lawsuits are halted and that most debts and judgments against you will most likely be discharged in a Broward County Chapter 7 bankruptcy? Draining your Savings, IRA’s 401K’s? Selling all your Stuff? That is NOT the Best Solution! When your bills have gone unpaid for many months and your situation is not improving, hiring a Broward County Florida bankruptcy lawyer is sometimes your best option. Some of our clients are up-to-date on paying their bills only because they had been withdrawing from their IRA’s or 401K. In the end, they didn’t get out of trouble and they squandered their retirement. Very sad. If that’s you, call us now. Many of Howard’s clients thought that they should enter into a repayment program with a debt settlement company or a credit counseling organization. The problem is most of these companies are connected to the creditors and you end up in a worse situation than before. 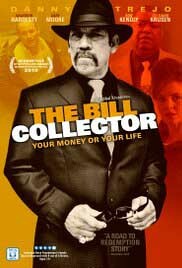 Many clients share with Mr. Butler that they have been subjected to improper debt collection attempts by creditors or debt collection agencies. Mr. Butler takes action to fight for his clients’ rights as defined in the Fair Debt Collection Practices Act (FDCPA). He can help his clients file FDCPA claims to safeguard their rights if they have been called during inappropriate hours or have been unlawfully harassed. He can use his experience of previously working for a large debt collection company to pursue the protection of your rights. Other clients shared that they thought they were too young to file bankruptcy or thought there would be a stigma attached to filing Bankruptcy. Some clients were fearful of ruing their credit. Frankly, that boat had already sailed, and the current path of doing little or nothing was not working. Creditors will often be more kind to you following a bankruptcy and you’ve a clean slate. Most people recover from a bankruptcy on their credit report within two years. Call Howard. He will take the time to debunk all the misconceptions and give you facts during your Free Consultation. We will share our numerous experiences of helping 100’s of people obtain debt relief by filing Chapter 7 or Chapter 13 Bankruptcy. The Butler Law Firm will handle all legal aspects of your case from start to finish. We will help you understand what debts can be discharged and any that cannot. When those obnoxious creditors call, you can confidently tell them you are represented by an Attorney and never contact you again. Broward County Bankruptcy Lawyer, Howard Butler, will personally represent you at all required bankruptcy hearings and address any concerns that may be raised by the trustee assigned to your case. As always, Howard’s goal is to discharge as many debts as possible while allowing you to keep most, if not all of your assets. Take the first step toward debt relief a good night’s sleep for you and your family. Call your Broward County Bankruptcy attorney, Howard Butler right now to schedule a free and confidential consultation.